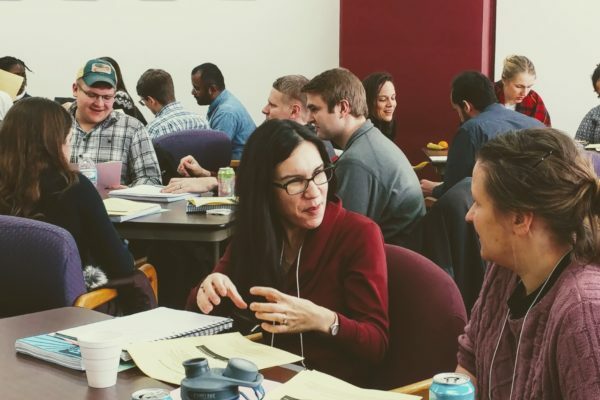 The Writing Across the Curriculum Program at the University of Wisconsin-Madison is eager to help you think about creative and effective ways to incorporate writing and speaking assignments into your courses at all levels and in all disciplines. The hundreds of pages of materials on this site offer a good place to start. If you teach at UW-Madison, we would be happy to consult with you about ways to customize these materials and the pedagogical strategies they suggest. Click on “About Us” above to see some of the many ways we can help with your teaching. And please do not hesitate to contact us if you would like additional support. 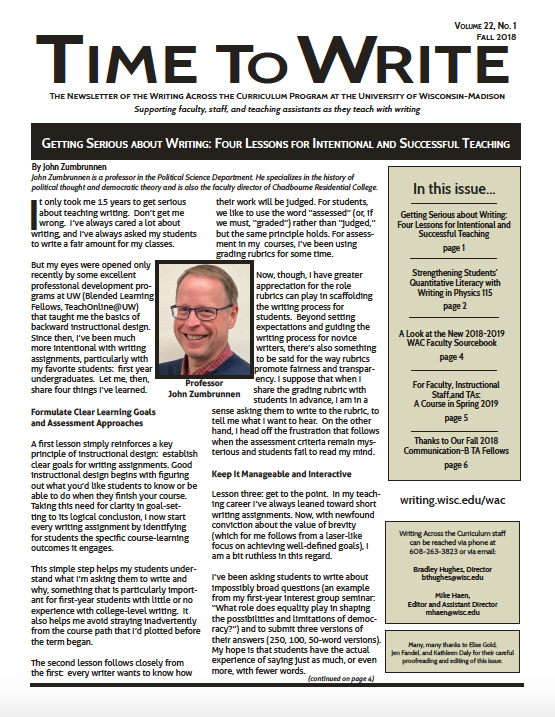 Why Should You Use Writing Assignments in Your Teaching? The Fall 2018 issue of Time to Write is available now!